Anil is an associate in the financial services department and regularly advises on a wide range of FinTech and financial regulatory and compliance matters affecting financial institutions and potential entrants into the financial services industry. 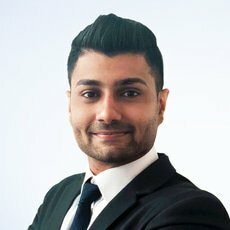 Anil has a keen interest in the FinTech space, and has advised several FinTech players, including technology companies, virtual currency issuers and banks, on their business models, spanning issues relating to online money transfer systems, online payment systems, stored value facilities, online lending platforms, virtual currency platforms and various initial coin offering structures. He has also been involved in policy formation initiatives and presentations to industry players. Anil graduated from the National University of Singapore with an LLB (Hons) degree in 2015 and was called to the Singapore Bar in 2016.